While precision is the name of the game in marching band, DINKLES takes the same approach to the design of every pair of shoes we distribute. We are so serious about the safety, comfort and durability of our shoes, we brought our shoes, along with those of our competitors, to an independent testing facility to learn the facts. Needless to say, we were excited to learn after rigorous tests, our shoes ARE the safest, most durable and most comfortable shoes on the planet. 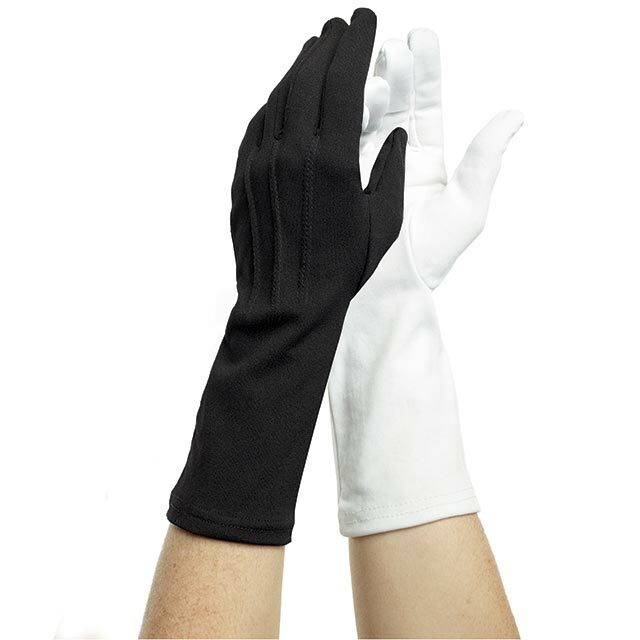 DINKLES provides the Science and Technology needed for the performance of the Artistry of music and the marching band. You will see the results conducted by Artech Testing LLC of Chantilly, VA. Artech, a major testing facility which performs tests for many manufacturers worldwide, compared DINKLES with all the main competitors on the market today. Learn about our world class shoe construction. Do our shoes hold up the most demanding environments? 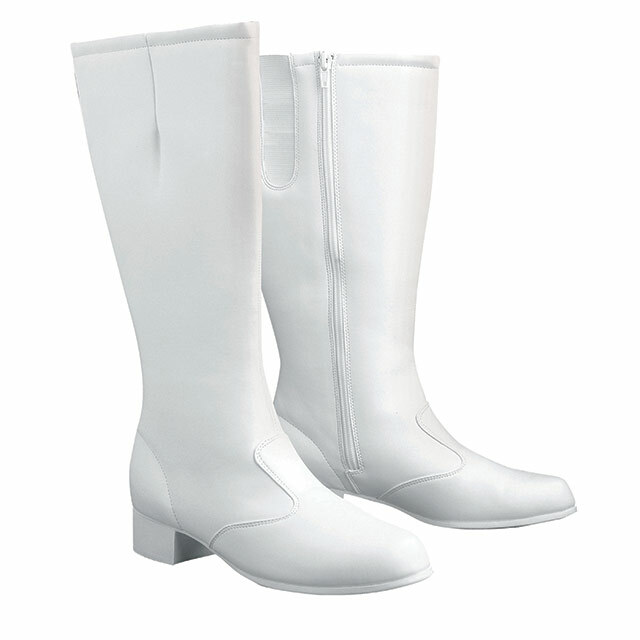 For years, Band and Corps Directors worldwide told us how superior our shoes were to the competition. And while that is a source of pride for everyone at Up-Front Footwear, we finally have the scientific proof to back it up! Its really quite simple, the higher the number, the better the test results, meaning the better the materials. The lower the number, the lower the test score, the poorer the materials. According to these tests, DINKLES had the most traction on both wet and dry surfaces making for the safest, most slip-resistant shoe available. Lower loads and shock (gee value) suggest more comfort to the shoe wearer. 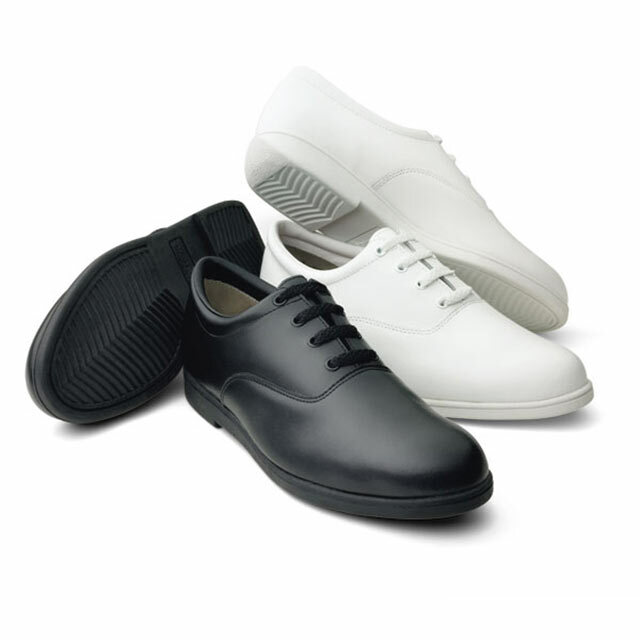 High energy return provides an appealing “spring” in the step for the shoe wearer and reduces energy expenditure. The test data above is the average of 8 or 9 drops for each of the four shoes in the heel area by an eleven pound steel rod and five hundred pound load cell. Artech Testing took our top selling shoes and put them up against our competitors and performed a slip resistance test on wet and dry artificial turf surface, which by the way can be the most dangerous marching surface! The results showed DINKLES 13% more slip resistant than its nearest competitor on dry conditions and an astounding 30% more slip resistant on wet conditions than its nearest competitor. As the leader in the industry, DINKLES is the ONLY company that had the courage to test our shoes versus the competition. We sent our shoes, and those of our competitors, to Artech Testing, and after a round of skid tests by Artech, we have the results! And in first place… DINKLES are the gold medal champions of the marching shoe industry. 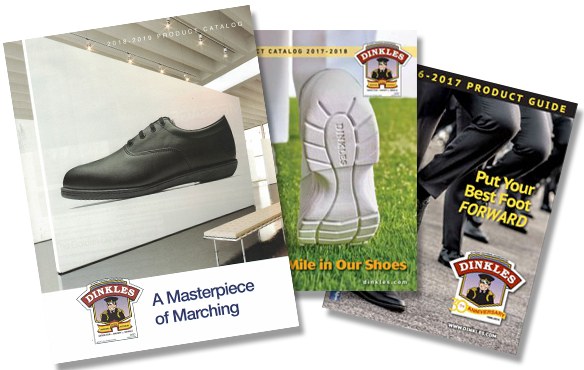 So, the next time someone decides to tell you their shoes are the safest and least slip-resistant, make sure they are talking about DINKLES, the world’s best and safest marching shoes!